If there seems to be a problem with your package according to the tracking information provided to you, we advise you to first try and contact the courier or postal service directly. This is because they will have the most accurate and up-to-date information about your package. If that doesn't resolve your problem, you can always reach out to us and we can open an inquiry with the courier or postal service. If you suspect your shipment may be missing, you should contact both the courier or postal service and Cook and Becker as soon as possible. If you contact us within 3 months of your order date, we can help you with a refund or replacement. After that we are unfortunately unable to file a damage- or missing item claim with the shipping companies. You can find the cost of shipping to your address in the order form next to the artwork or product and during checkout. This estimate is based on your country location. The definitive shipping costs will be confirmed at the end of the check-out process once you entered your delivery address. For shipments within the US or EU countries there are no customs duties or import taxes. Shipments to the rest of the world may or may not be subject to import taxes or customs fees collected by your government. These charges are mandated by the destination country and will often be collected by the shipping courier at the time of delivery. We cannot predict or avoid them. All information needed for customs processing is contained on your package's shipping label. 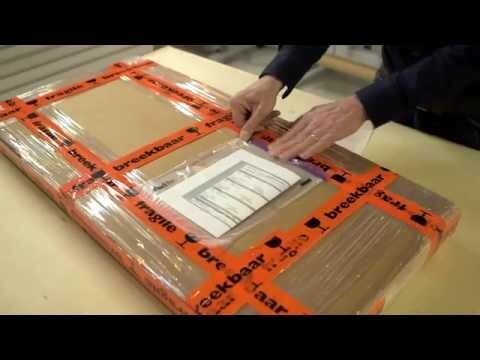 Cook and Becker has years of experience packaging and shipping art quickly and safely around the world. To date we have successfully shipped to over 40 different countries. All artworks are thoroughly checked and professionally packaged before they go on transport. Almost all of our international shipments for our art prints are done with FedEx or similar premium carriers and include Track & Trace. Domestic shipments will often be done via DPD. You receive an email with a tracking number from us and can check the status of your shipment in your online account. We ship our art books and notebooks using several different couriers or postal services, depending on your country of residence. Couriers we use for example are USPS, UPS, DPD, Colis Privé and Hermes UK. Please note that if you order several different types of products, they may arrive separately because they ship from different locations. We guarantee that you receive your artwork, books, and notebooks in perfect condition. Our shipments are fully insured and we offer replacement services. Should you receive your package and notice that damage has occurred during transport, please review the ‘Damage & Returns’ section and contact us as soon as possible. - With pre-order items an indication of when the item will ship is displayed next to the artwork on the order form. We ship almost all of our artwork via FedEx or similar couriers with track and trace and shipment to your destination usually only takes a couple of days.